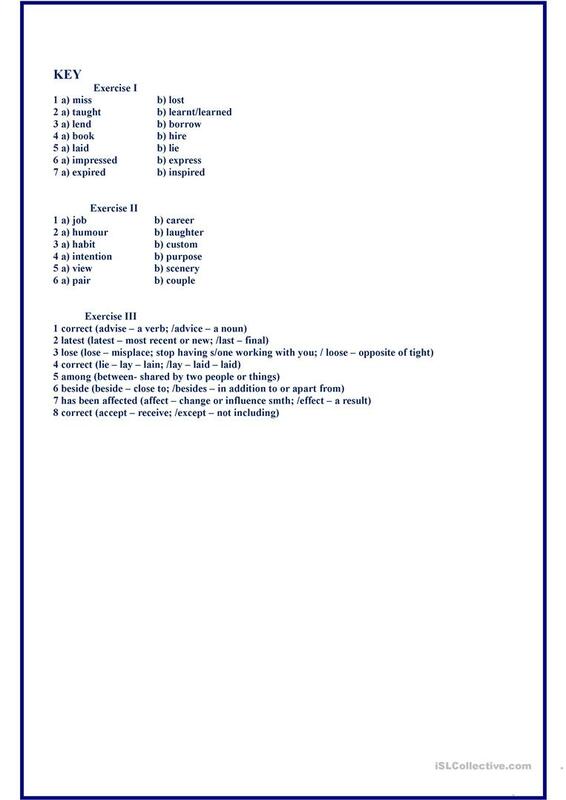 The worksheet contains exercises dealing with easily confused words in everyday English. Students complete the sentences, match words to their definitions and correct mistakes. Key is given. Hope you find it useful. The above printable, downloadable handout is best suited for high school students and adults at Pre-intermediate (A2), Intermediate (B1) and Upper-intermediate (B2) level. 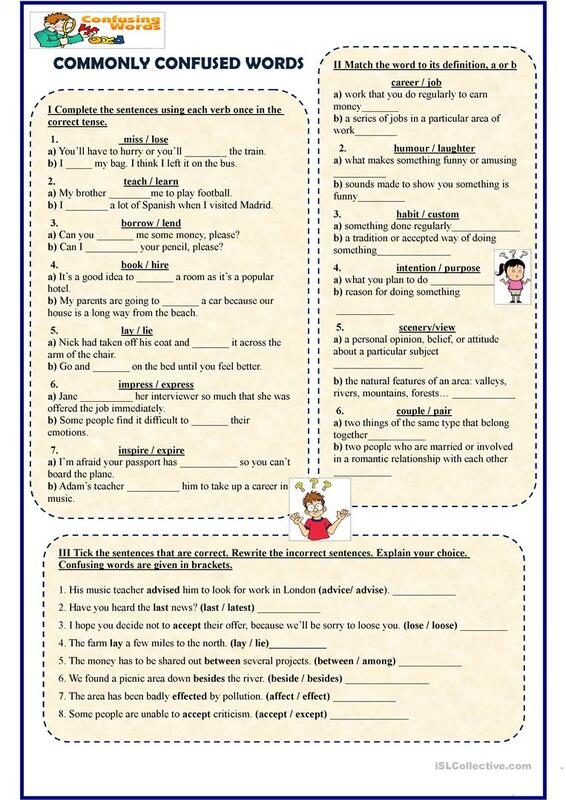 It is useful for developing your students' Spelling, Speaking and Writing skills. It is focused on the topic and words of Words easily confused. The answer key is provided, too. tantana is from/lives in Russia and has been a member of iSLCollective since 2012-11-28 17:09:54. tantana last logged in on 2019-04-20 18:37:33, and has shared 260 resources on iSLCollective so far.